Shrimp is the most popular seafood in the U.S. 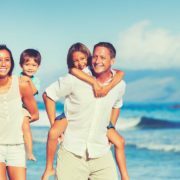 So popular, in fact, that it represents more than a quarter of the United States’ annual per capita seafood consumption. Shrimp, which may occasionally be sold as the term prawns, is so versatile, nutritious, and tasty that it has the average American eating about 4 pounds of it a year. COLD WATER. Cold water shrimp tend to be smaller and are normally harvested in northwestern and northeastern U.S. ocean waters. They are known as Pandalid shrimp – commonly used in salads, soups or chowders. 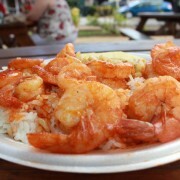 According to seafoodhealthfacts.org, cold water shrimp are only available previously cooked and peeled. WARM WATER. These shrimp are harvested and farmed in tropical and sub-tropical regions around the world, and are more commonly sold by reference to basic white, brown, and pink shell colors. Additional names for warm water shrimp may include tiger, banana and hopper. Shrimp buyers are normally enticed by the different tastes, textures, sizes and costs which will vary from one species to another. FARMED SHRIMP. Farmed refers to warm water varieties of shrimp that are raised in both open and closed pond systems supplemented with formulated shrimp feeds. Production rates and sensory attributes of the shrimp are influenced by the shrimp’s diet and pond water. More than 90 percent of the shrimp consumed in America comes from farmed sources around the world. DOMESTIC and IMPORTED SHRIMP. Wild shrimp harvested on the various coasts of the United States are referred to as domestic shrimp, while imported shrimp refers mainly to farm-raised shrimp from productive regions in many Asian countries, the Gulf of Mexico and Pacific coasts of Central and South America. 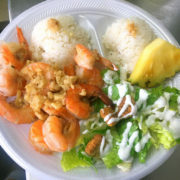 Whether your taste buds are craving fresh shrimp or some of our other ono-licious options, the savory plates at the Big Wave Shrimp truck are sure to satisfy! 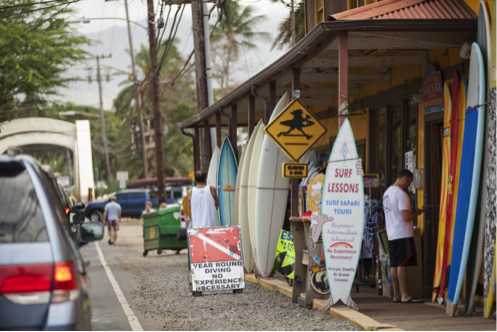 Pay us a visit in Haleiwa town on the North Shore of Oahu to sample our mouthwatering goodies. 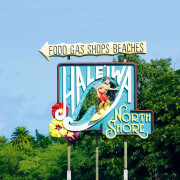 We look forward to seeing you on the north side!